For weddings, events, proms, birthday parties and Mardi Gras celebrations, nothing beats the mighty crown and there are so many ways to integrate it into your event theme! This Gold Crown Centerpiece is 8" tall by 8" wide and only weighs 13.7 oz. so it can regally top off cakes and desserts! The ribs are 3/8" wide and the base opening is 3 3/4" in diameter. This Gold crown has a shiny finish and it's a rich and luxurious color. 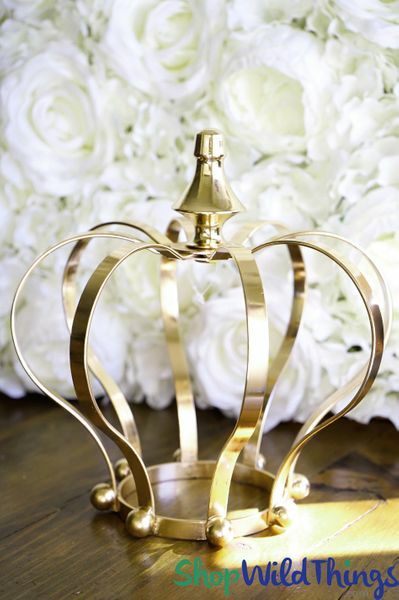 Whether your event is formal and sophisticated or relaxed and playful, this decorative crown will be the hit of your centerpiece designs and can also add height and dazzle to the top of a cake! The sturdy metal construction ensures you'll get years of fun from this amusing crown! 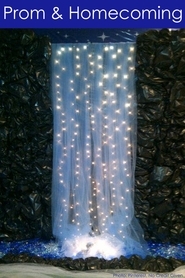 For centerpieces, you could weave tulle matching your event colors between the ribs and place an LED submersible light underneath or simply place the crown on a Centerpiece Mirror with a flameless LED candle. Another centerpiece idea is to place florals around the base or fill the entire cavity by placing a Hydrangea Kissing Ball inside. The Hydrangea Balls have a plastic framework so they can be gently squished into the opening which also gives a great color contrast, making the crown stand out even more! This crown makes quite a regal cake topper by itself or along with flowers and other materials. Add a dash of color by attaching a ribbon to the spire or decorate the ribs with adhesive diamond trim. 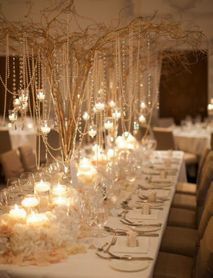 Create your own overhead magic by suspending crowns from the ceiling or framework with Crystal Pendants attached at varying lengths. From a royal wedding to a princely prom, you'll be proud to show off your imperial taste in design with this Shiny Gold Crown! 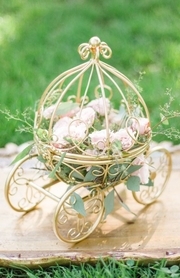 They are beautiful for centerpieces and of very good quality!! Royal gold crown is fabulous. I have some mercury glass accents and the crown goes so well with them. Much heavier than I anticipated! Could be used for decor, over an LED candle, tree topper for a large tree. Customer service is excellent at this company. They called to let me know the color was a bit brighter than stated in description. Very happy with purchase. Lovely item at a great price and came quickly too. ProsVery sturdy, has some weight to it. Very nice quality. SQUEAL - these are adorable!